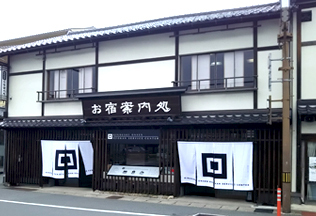 Placed in Kinosaki's central area, making it extremely convenient to stroll around town to all the open-air public hot spring baths. 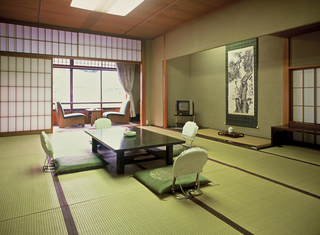 Located in central Kinosaki, a stay at our inn gives our guests a glimpse into an old and traditional Japanese town. Otani River, near by, lined with it's old weeping willows adds even more to experience. 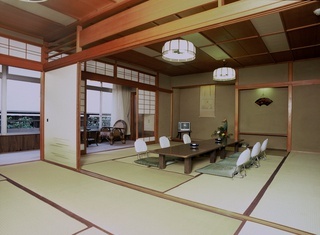 Shinkameya was the first inn in Kinosaki Onsen to be constructed by the master craftsman, Masaya Hirata. 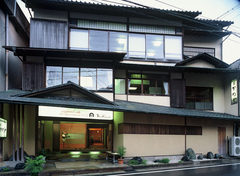 The two hot spring baths located in our main building are open 24 hours. It is the perfect place for families or couples to relax and unwind. All of our meals are also prepared with locally grown ingredients for your enjoyment. 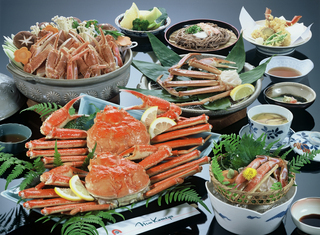 A specialty full course meal of king snow crab offered in the winter season. Our two hot spring family type baths are open 24 hours.